Open any patternmaking book, and you’ll likely find a large section devoted entirely to collars. Collars, though seemingly simple, come in a huge variety of styles, shapes, and sizes. 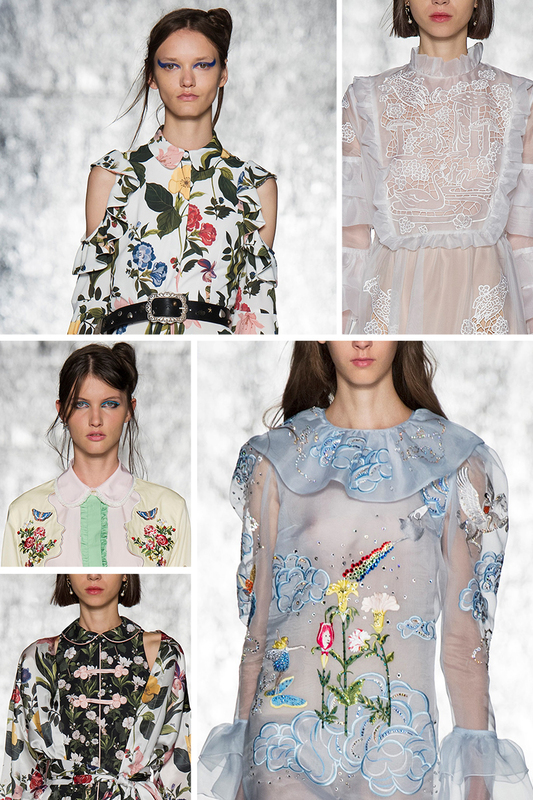 The Italian fashion label, Vivetta, is known for its contemporary silhouettes, lush florals, and unexpected details. Explore any one of their collections, and you’ll find plenty of amazing collars. Our upcoming pattern release has us dreaming of tailored details paired with feminine fabrics. The Spring/Summer 2017 Vivetta collection is chock-full of all of the above. 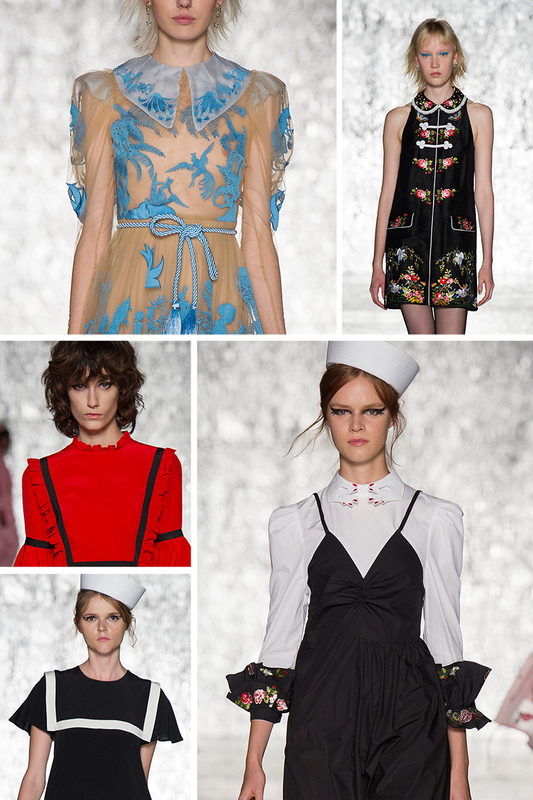 You’ll find novelty collars, sailor collars, peter pan collars and lots of gorgeous embroidery and floral. Be sure to check out the full collection. And sign up to be a pattern insider to get a special sneak peek and discount on our new dress pattern next week! Do you have a favorite garment detail? Where do you search for detail inspiration? I adore the surreal Vivetta collars. I want to draft my own someday. The hands with the multi-colored nails are fantastic as well.